We are offering Optimix Glasslined Reactor. We are registered developers of Optimix Technology, which is a qualitative system, capable of sizable mixing improvements in terms of circulation speed and reduction of mixing time. This has been possible with a vital reduction of the vortex size. The resultant total disappearance of any splashing on the top head of this kind of reactor, considerably improves its ease of cleaning and its cleaning validation. De Dietrich, with more than 330 years of experience, has units in 15 countries worldwide and is the leading provider of Process Equipment, Engineered Systems and Process Solutions. De Dietrich (QVF) offer all Glass/Glasslined process equipments for high corrosive process application and engineering system. 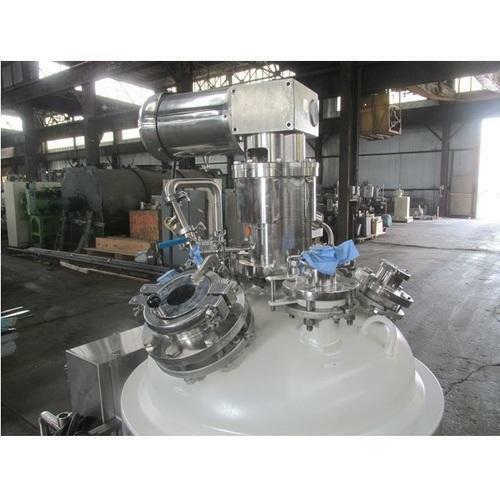 Glass Lined Reactor with advanced Mixing Technology with OptiMix design and GlasLock system. Filters & Filter/Dryers (ANFD, Pan and Spherical dryers) & Double Conical Dryers specially designed for Sterile Application. RoLab (Rosenmund® Laboratory) & RoMan (Rosenmund® Manual) Pilot Plant ANFD.